Rabban Sauma is the title of this Episode, Part 1. So — there I was, walking through the Genghis Khan exhibit at the Reagan Library, reading the various offerings on the Great Khan and Mongols – a subject that as a student of history I find fascinating when I came upon an offering that launched an investigation. It spoke of a Nestorian priest who was a Chinese version of the famous Marco Polo. As I read the exhibit’s terse account of Rabban Sauma, I knew I had a new investigation to make. Why had I never heard of this fascinating character before? Why haven’t YOU? The story of Marco Polo is part & parcel of the teaching of World History. His life and career are central to the prompts of what’s called the Age of Discovery. Mini-series have been made of his amazing tale. Virtually unknown to westerners is the story of an equally fascinating character of the same period. A Chinese Christian priest who ended up acting as an ambassador of the Mongols to the Pope and the kings of both France and England. Before that, Rabban Sauma was instrumental in establishing the new Patriarch of the venerable Church of the East. This man lived a truly epic life containing three separate sagas. The Ongguds were a Turkic people living just North of the Great Wall. They’d allied with their Chinese neighbors in the past, and had proven a fertile field for Nestorian missionaries. They were one of the first groups to throw in with Genghis, benefiting from the Great Khan’s liberal toleration policy. The Mongols were largely illiterate while the Onggud’s, having converted to Christianity centuries before, possessed an academic class of priests and scholars. These provided the administrative core of the emerging Mongolian Empire. To prove his loyalty, the Onggud ruler gave one of his sons in marriage to the Khan’s daughter. Shiban was an Onggud noble who married a woman of his class. Longing for a child but unable to conceive, they prayed and fasted. Their prayers were answered and a son was born, whom they named Bar Sauma – Son of the Fast. This was right around 1225. The piety of the parents was passed on to the son, who showed an extraordinary interest in spiritual things from a young age. He was given a religious education and proved so adept at his studies was entrusted with special duties at the church of his hometown. While his parents were proud of their son’s piety, they were disappointed when at the age of 20, he made a vow to abstain from meat and alcohol. They’d hoped Bar Sauma would eventually use his mental acuity as a scholar or official. His vow made it clear he planned on pursuing the life of a monk. 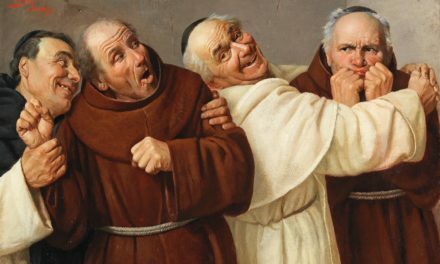 While Nestorian monks were required to be celibate, deacons and priests were encouraged to be married. In some eras, they were even required to have a wife as the thought was it would better equip them to offer counsel and guidance. So Bar Sauma’s parents arranged a marriage for their son, hoping to steer his aspirations into a more amenable course. They requested he delay his commitment to becoming a monk, as he prayerfully pondered continuing the Chinese tradition of continuing the family line. They asked him, “How can it possibly be pleasing to you for our seed and name to be blotted out?” Who would inherit their property and wealth, a not insubstantial consideration since they were figured amount the Onggud nobility? This query reflects the assimilation of the Ongguds into the larger and far more dominant Chinese culture. Bar Sauma deferred to his parents wished and delayed his commitment for three years. He continued his education with the teachers his parents had arranged but stayed true to his earlier commitments. Rather than softening to his parents’ requests, they softened toward his and agreed that their son was destined for a religious life. The arranged marriage, part of which had already been formally conducted, was suspended and then annulled. Bar Sauma’s diligence in the study of the Bible came to the attention of the bishop of the Mongol capital at Tai-tu, the city that would eventually be known as Beijing. Mar Giwargis inducted Bar Sauma into the Nestorian clergy at the age of 25. That closes ch. 1 of Rabban Sauma’s amazing story. Before we open ch. 2, it would be wise to set the scene on two important dimensions of his story. 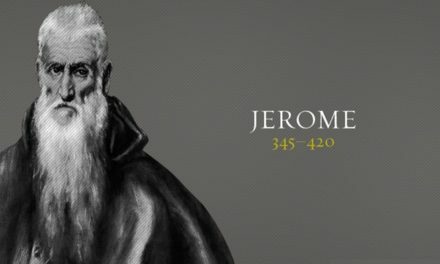 The unique aspects of his Nestorianism, and the world scene his story is a part of. We spent some time on the tale of Nestorius and his theological and political contest with Cyril of Alexandria back in Season 1. While Nestorius was declared a Heretic by the Council of Chalcedon in the 5th Century, we saw that the man himself did NOT espouse heresy. The council’s decision was based more on the politics of the day than a careful analysis of his theology. BUT: it is certainly true those who came after Nestorius by a few generations did indeed deviate from orthodoxy. When Nestorius was banished from Constantinople, he went West to the monastery where he began in Antioch. After Chalcedon, his followers moved to Persia and gave rise to a rich religious tradition that came to be known as The Church of the East, synonymous with The Nestorian Church. Eventually, the very thing the Western Church accused Nestorius of, but he’d vehemently denied, became the doctrinal position of his followers; that Christ possessed not just two natures as God and Man, but that He was two PERSONS. In contradistinction with the West, Mary’s role was downgraded. She wasn’t Theotokos, that is, the bearer of God; she was Christotokos, the bearer of Jesus’ humanity. If the Nestorians had stopped here, they might eventually have been understood to merely use different terminology to describe Jesus as the Son of God and Man. But they went further than Nestorius himself had by editing their view of the Trinity. Jesus wasn’t just subordinate to the Father in the teaching of the Church of the East, He was understood as produced by The Father, with the Holy Spirit then subsequently proceeding from both Father and Son. In other words, ontologically, The Father existed first, then the Son, then the Spirit. This has the Son and Spirit coming into being after the Father -an idea utterly anathema to Western Orthodoxy as it makes the Son and Spirit creations. But, it’s important to make this clear, in classic Nestorianism, the Son and Spirit are understood, not as creations, but as deity co-equal with the Father. The Church of the East retained the sacraments of the West, although as the two branches of the Faith evolved, they’d take on somewhat different expressions. Banished from Roman & Byzantine provinces int eh 5th Century, Nestorians settled in the Middle East and Central Asia. Beng highly missionary in outreach, they extended their reach all the way t the Far East and China. Their new headquarters was set up in Persia where they established a rich tradition with an emphasis on education and scholarship. From the 6th through 9th Centuries missionaries converted many of the Turkic peoples of Central Asia. In the 7th Century, Nestorians reached China and established themselves amongst the Tang Dynasty, lasting into the 10th Century. In the late 11th and 12 Centuries, Nestorianism had taken root among the Mongols, with several of their elite women as adherents of the Faith. There was a Nestorian church in the Mongol capital at Khara Khorum. 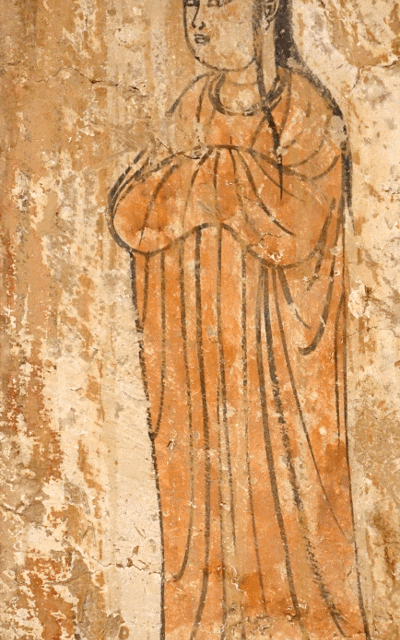 Almost counter-intuitively, The Church of the East was a settled feature of the religious scene in the 13th Century across Central Asia and the Middle East. That’s counter-intuitive because Islam had swept this area centuries before. Christianity would not decline in this region until the late 14th Century when Mongol influence also declined. It was then that a resurgent Islam saw both a voluntary and coerced conversion of other Faiths. It may be fairly said that Nestorianism spread much further than it’s Western Cousin over the same period because of its missionary zeal and scholarly ardor. Nestorian leaders were highly motivated to plant churches and extend the borders of the faith into new realms. Facilitating the spread of the faith eastward was the development of new trade routes that connected West & East. Today, we know these routes as the Silk Road, better understood as Roads – plural, as there wasn’t just one route. And they weren’t roads as we think of them. Don’t picture some kind of ancient highway, a wagon trail with clearly defined ruts across hundreds of miles of territory. That’s not what the Silk Roads of this time were. No map charted their course. Few guides could lead others on them. The path Marco Polo & Rabban Sauma took was little more than an idea when they traversed it. Later, their routes would indeed become those trails countless others would travel. But Polo & Sauma were trail-blazers, pioneers of commerce and Faith. It was Nestorian merchants who helped make the old Silk Roads. And everywhere they went, their churches followed. Another factor enhancing the spread of The Church of the East was the Nestorian policy of cultural adaptation. Missionaries didn’t require converts to adopt a Persian or Middle Eastern culture. The Gospel was understood as transcending culture. Even to the point where missionaries accommodated some decidedly unbiblical practices, such as polygamy, a common practice among the nobility of Central Asia. It isn’t that Nestorianism endorsed or approved of polygamy; they just would not see the reach of the Faith stalled until people accepted monogamy. Nestorian missionaries reasoned, Do we require monogamy before we preach The gospel and accept converts, or preach the Gospel, make converts, then disciple them toward a Biblical view of marriage? They decided for the second option. Because of this, not a few of the Mongol nobles were converted, especially among the women. And that insured the protection of Nestorianism as a viable faith under the Mongol policy of religious toleration in their rise to hegemony over all Central Asia, the Far East, and eventually into the Middle East. Nestorianism’s spread over such a vast area, combined with its assimilation of various cultures, resulted in the Faith’s diversification. While keeping its central doctrines intact and uniform, the WAY it was expressed and practiced, in terms of its rituals, took on different forms. So across the whole body of the Church of the East, while some churches looked very different from their Western counterparts, others look quite similar. Rabban Sauma will be asked to conduct a Mass in Italy before Western Church leaders and while his words were translated into Latin, what he said was readily understood and approved of, a remarkable thing when we realize the split between East & West was at that point 700 years old. Another factor that contributed to the success of Nestorianism’s spread across such a vast region is the looseness of its organization. The Church of the East was headquartered in Seleucia-Ctesiphon, modern day Baghdad, led by a Patriarch known as the Catholicus. He appointed archbishops called Metropolitans over the major dioceses. Because travel and communication between these dioceses were difficult and slow, the Metropolitans had considerable flexibility to lead their regions as they saw fit without much interference or guidance from the Catholicus. Each metropolitan, being highly educated and a willing adherent of the Faith, held firm to the doctrinal core of Nestorianism while adapting it to the cultural sensibilities of the locals. Eastern Christianity accommodated itself to local festivals and holidays. Nestorian priests blessed objects brought to them by commoners. Holy sites were designated and made the goal of pilgrimages. Relics took on special significance. What really enhanced the religion’s reach was the Nestorian clergy’s tendency to make medical treatment a part of their practice. This gained the Faith many converts. In part 2, we’ll take a look at the political scene into which Rabban Sauma stepped and lived his amazing life. Listeners to & subscribers of CS are encouraged to visit the FB page and leave a comment on where they live so we can see just how wide the CS family is. Since the podcast has grown tremendously, requiring a major expansion in our hosting requirements, we now want to invite donations to help support the podcast. Many thanks to those who’ve already done so. You can make a donation by going to sanctorum.us and hitting the Donate button.